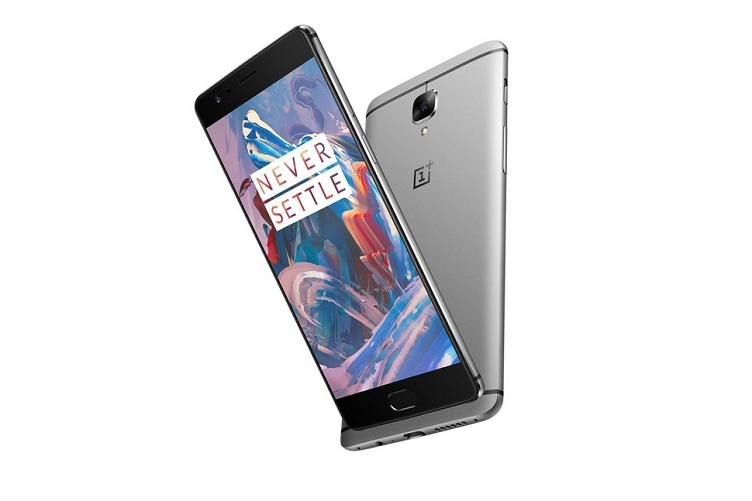 Chinese smartphone maker OnePlus has just launched its third smartphone, $399 OnePlus 3 that is available today on its website. As expected, the device truly makes good on the promise to be as great as the high-priced flagships, offering a sleek and powerful smartphone for a cheaper price than rival phones from Apple, Samsung, HTC or LG. The aptly named device has everything that can be expected from high-end Android phones, fast processor, premium design, capable camera, quick charging and a great display. Also, it is selling at a fraction of the cost of premium devices, available for just $399 unlocked, which is about $300 less than a Samsung Galaxy S7 or HTC 10, which have similar specs and features. This should be the most refined smartphone OnePlus has ever made. The phone is the first from the company to feature a smooth unibody metal design, which matches pretty much all other premium smartphones on the market. Slim and elegant, the phone has a relatively small footprint given its 5.5-inch, 1080p AMOLED display. Similar to its predecessors the OnePlus 3 packs in very powerful specs—Qualcomm’s latest Snapdragon 820 processor, 6GB RAM, fingerprint sensor, 64GB internal storage, a 16-megapixel rear camera, a 3000mAh battery and runs the latest Android Marshmallow-based Oxygen OS. Though not as good as the class-leading sensor on the Huawei P9, OnePlus 3 fingerprint sensor, which is integrated into the home screen, is still pretty accurate and better than most implementations to date. The 16-megapixel camera uses a top-line Sony IMX298 with features including optical image stabilization (OIS), electronic image stabilization (EIS), phase detection auto-focus as well as the ability to save pictures in the uncompressed RAW format, which photography enthusiasts will love. OnePlus’ charging system is slightly different. In order to have quick charging, users will have to use the charger and cable that comes with the device. Other quick chargers or USB-C cables will only charge the device at standard speeds. Additionally, OnePlus is selling a compatible car charger and extra wall chargers for $29.95 and $19.95, respectively. Another feature the phone comes with is an NFC chip, the ability to use the phone with Android Pay for mobile payments that have tap-to-pair features. The updated feature called "Dash Charge" that promises 60 percent battery life in just 30 minutes. Like most unlocked devices, the phone is limited to use on AT&T and T-Mobile's networks in the US. Unlike its predecessors, OnePlus 3 is currently available for purchase without needing to wait for an invite.